Ayurveda is the holistic solution to all healthcare problems. This is a native Indian tradition that goes back around 5000 years. Now even Westerners have acknowledged the effective healing properties of Ayurveda. The name Ayurveda has come from the Vedas which are the holy texts of Hinduism. Ayurveda is particularly good for preventing hair loss. It is rich in a number of herbs and plants that provide necessary nutrition to hair follicles. This helps in restoring hair growth and stimulates hair production. Here we present the top 10 Ayurvedic treatments that will help in hair loss prevention. Read on to find out how to protect your tresses and bring in the desired sheen. 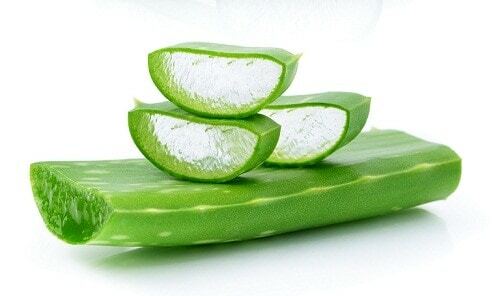 The benefits of Aloe Vera are known worldwide. Aloe Vera is native to Ancient Egypt and now it is renowned all over the world. Just mix one-third cup of Aloe Vera juice with a little cumin and apply on your hair twice or thrice a day. Continue this process for 3 months to boost hair production. The name Bhringaraaja means king of herbs, raja means 'king' and bhringa means 'herbs'. Hence, it is justifiably called king of hair. This magical herb helps in getting rid of baldness and arrests greying of hair. You can apply Bhringaraaja oil and massage gently on your scalp. You can even consume it internally. Otherwise, you can apply the paste of its leaves for excellent results. Amla or Indian gooseberry is extremely rich in Vitamin C. It is loaded with vitamins and antioxidants that help in reviving and resurrecting the hair follicles. You can consume amla juice for controlling dandruff. Amla oil is very much suitable for preventing hair loss. KMP Ayurvedic Amla Hair Oil is the best amla hair oil in India. It is packed with the goodness of amla that helps reverse bald patches and prevents thinning of hair. It can help you cure the problem of hair fall in very little time. You can even prepare an amla hair pack and apply this on your hair. Just mix amla powder, brahmi powder, curd and henna to form the hair pack. You can let this mixture stay on your hair for a couple of hours before washing it with cold water. Another way to stop dandruff would be to apply a mixture of amla and lemon juice on your scalp. Wash it after 20 minutes. This process helps you to stimulate your hair follicles resulting in higher rate of hair growth. The benefits of brahmi for improving intelligence and brain functioning are well known. However, it is excellent for improving the quality and texture of hair as well. Regular application of brahmi oil helps in increasing blood flow. It can also be mixed with lemon juice to cure dandruff. Ritha is also called as soap nuts. It has derived this name from the soapsuds that this herb produces when immersed in water. This herb helps in cleaning the hair and promotes its growth. All you need to do is steep these nuts in water overnight and strain the resulting liquid. Then wash your hair with this liquid to get long and silky curls. Ashwagandha is an exotic herb from India. Its benefits are numerous and are comparable to the Chinese ginseng. It fortifies the immune system and helps in improving the quality of hair. Hair loss is caused by excessive stress and strains and a strong immune system helps in preventing the same. Methi is also called as fenugreek seeds. Mix methi paste with lemon juice and apply it on your scalp. This will help you reduce dandruff and help in reducing hair fall. Both these ingredients are extremely good for stimulating hair follicles which will lead to increased hair growth. 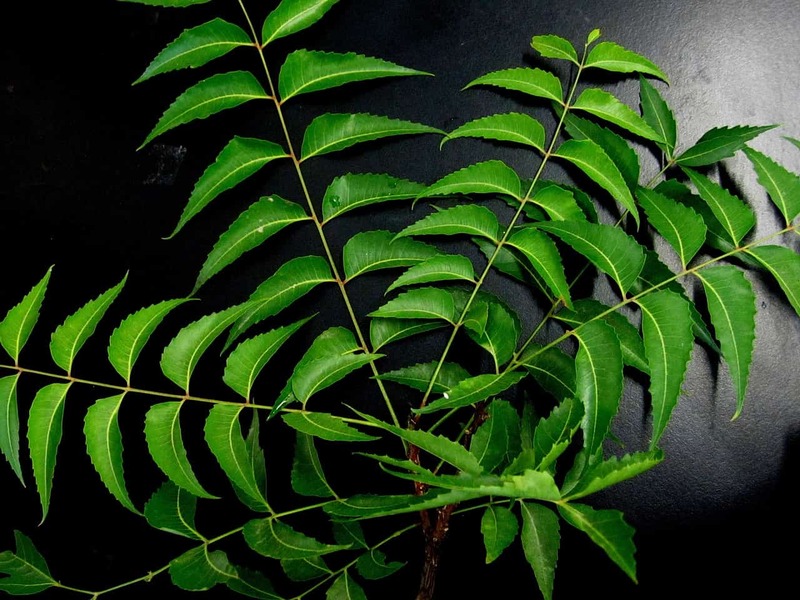 Neem is also called as margosa. The leaves of the neem plant have extremely potent properties that make it ideal for protecting against hair fall. Apply neem oil before going to bed and wash it off the next day with cold water. This will help in arresting hair fall. You can also take a cup of neem leaves with 4 cups of water and bring to a boil for around 10 minutes. Strain the liquid and let it cool. Then you can apply it on your scalp and keep for half an hour. Rinse off with cold water. This neem hair pack will work wonders in restoring your hair to good health. Calcium and magnesium are very important nutrients required in hair growth. Sesame seeds contain high amounts of these minerals. Hence, having sesame seeds will prove to be very beneficial for you to resurrect hair production. Even the banyan tree helps in reducing hair fall. All you need to do is take a small piece of the banyan root, grind it and add lemon juice to it. Then apply this paste on your scalp. This will help you to reduce hair fall. So just try out these 10 classic Ayurvedic treatments for hair loss prevention and let everybody admire your lustrous locks! A licensed hair practitioner, Anne Holzman has worked in hair care for more than 25 years, spending the last decade focusing on trichology, which is the study of hair and scalp disorders. She is an accomplished author and educator as well, and she credits God for drawing her to the hair industry.